Good news! JCR will be at the Off-Road Expo in Pomona Californa this weekend! Bad news! Corey* will be there, so don’t enter the booth eating or smelling like fair food.   . . . . . . . . . . . . . . . . *JCR Sales guy Corey likes food… a lot. In fact, if you came to booth #4456 with an elephant ear, we aren’t responsible for the kinds of discounts he will give. After he side tackles you. You have been warned. Photo of Corey driving #ProjectCrusader to get to the local Pizzaria before they close. 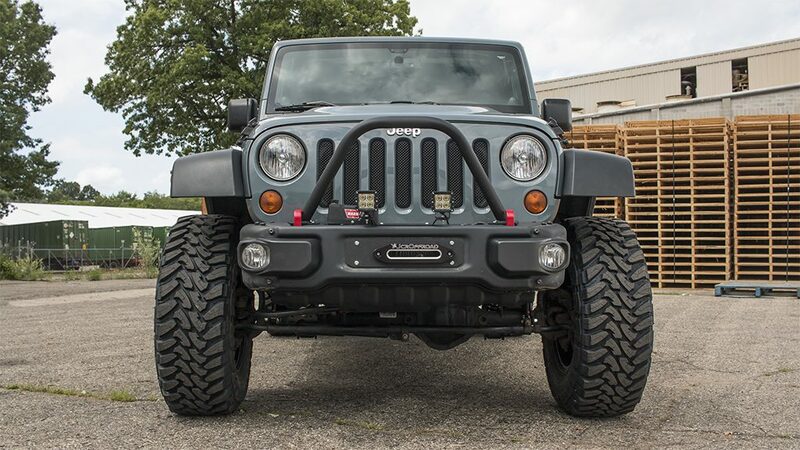 JcrOffroad now offers accessories for the Jeep Wrangler JK 10A & Hardrock edition bumpers!